The main islands in the group are Sangihe, Siau, Tahulandang, and Biaro, and there are numerous islets. The Sangihe Islands is dominated by the 1830m Karangetang volcano on Api Siau Island.. This chain of around 40 steep and lush volcanic islands connects Indonesia with Philippines. is for hunting wild buffaloes and wild pigs, but it is also good for birding. The Elegant Sunbird, Aethopyga duyvenbodei, is a large, Australasian sunbird in the genus Aethopyga. 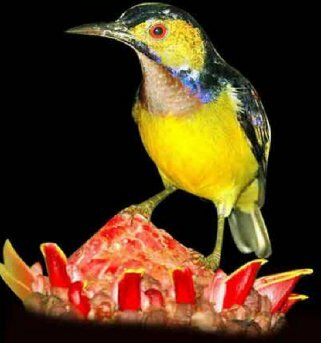 An Indonesian endemic, the Elegant Sunbird is distributed to the island of Sangihe, north of Sulawesi. 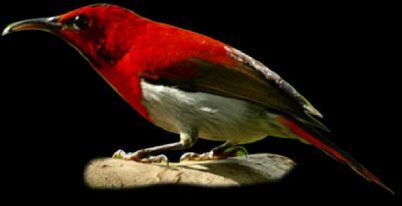 It is found and locally common in the forests and plantations near Mount Sahendaruman in southern Sangihe. yellow rump-band and underparts. Female is much duller, with yellowish-olive upperparts and yellow rump and underparts. 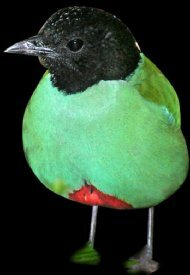 The Elegant Sunbird, Aethopyga duyvenbodei, is currently known from Sangihe, north of Sulawesi, Indonesia. habitat suggests that populations continue to decline. habitats without adjacent primary forest patches, but agricultural intensification is reducing the available area of even these modified habitats. The tiny remaining area of primary forest, around which the main population is centred, receives inadequate protection and continues to suffer from agricultural encroachment at its lower fringes. Forest-cover on the volcanically active island of Siau is extremely limited and the species is either extinct there, or survives in tiny numbers. 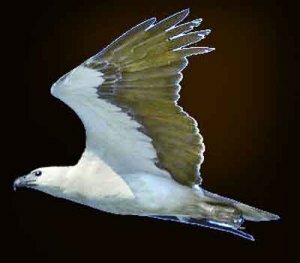 Text from BirdLife International (2010) Species factsheet: Aethopyga duyvenbodei. with Scarlet Sunbird, Aethopyga mystacalis. 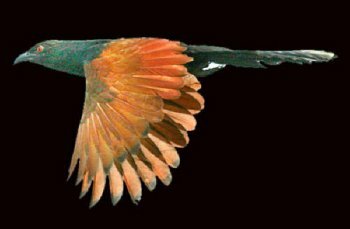 rufous fringes to the wing and tail feathers. calls and twittering song, like close congeners. The Brown-throated Sunbird, also known as the Plain-throated Sunbird, is a species of bird in the Nectariniidae family. It is found in a wide range of semi-open habitats in south-east Asia, ranging from Myanmar to the Lesser Sundas and west Philippines. 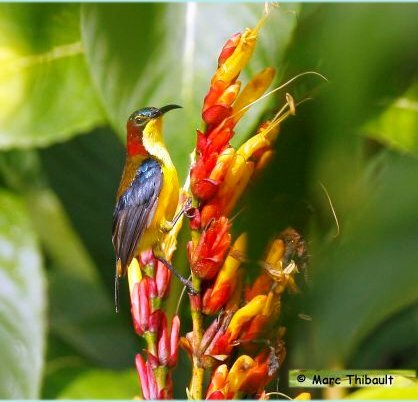 The Grey-throated Sunbird found in the remaining part of the Philippines is often considered a subspecies of the Brown-throated Sunbird, but the two differ consistently in measurements and plumage, and there is no evidence of intergradation between them. The Brown-throated Sunbird is a relatively large, heavy sunbird with a thick bill. Measuring some 14 centimetres in length, with males averaging slightly larger than females. The Sulawesi Dwarf Cuscus, Strigocuscus celebensis is a species of marsupial in the Phalangeridae family. It is endemic to Sulawesi and nearby islands in Indonesia. the genus Pteropus . Pteropus hypomelanus is the largest member of the hypomelanus species group. Wing membranes are attached along midline of the back. Fur color in Pteropus hypomelanus is highly variable. Typically, fur on head is dark brown, although in some individuals it fades to light brown or yellowish brown. 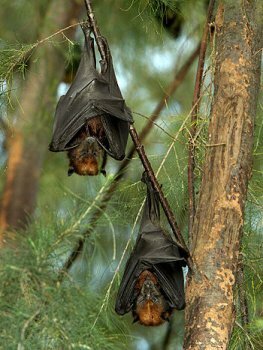 Pteropus hypomelanus may roost individually or in colonies from 10 to several hundred individuals. In gregarious roosting situations, colonies are usually organized into small family groups. 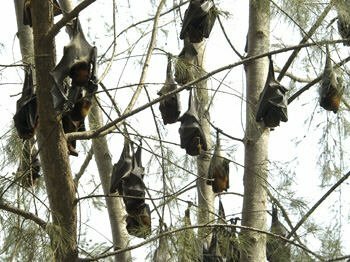 In the Philippines, colonies of 5070 bats were evenly dispersed in the crown of coconut (C. nucifera) trees . 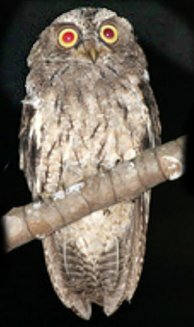 In Malaysia, roosting groups typically consist of 4050 individuals . licking their chest and wings, and panting. In cool weather or during heavy rain, they almost completely wrap themselves with their wings. This species occurs on the island of Sulawesi, Indonesia, and the adjacent Indonesian islands of Butung, the Peleng Islands, the Togian Islands, and possibly Muna (Flannery 1995). It ranges from sea level to over 600 m asl. Listed as Vulnerable because of an ongoing population decline estimated and projected to exceed 30% in a ten year period (5 in the past, 5 in the future) due to the high rate of deforestation and hunting of this species on Sulawesi. North Sulawesi in the 1993-1994. This species, however, was at one time much more plentiful. folivores it spends much of its day resting in order to digest. Salas, L., Dickman, C., Helgen, K. & Flannery, T. 2008. Ailurops ursinus. In: IUCN 2011. IUCN Red List of Threatened Species. Version 2011.2. <www.iucnredlist.org>. Downloaded on 13 February 2012. 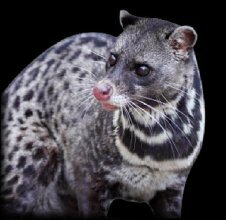 The Malayan Civet, Viverra tangalunga, also known as the Oriental Civet, is a civet found on the Malay Peninsula and the islands of Sumatra, Bangka, Borneo, the Rhio Archipelago, and the Philippines. but they climb into tree. Despite their cat-like appearance and similar behavior and traits, they are not felines. Carnivores but some of them are solitary, omnivorous and are primarily terrestrial . They feed on others animals including small vertebrate and invertebrate. The Red-bellied squirrel, Rubrisciurus rubriventer, is a species of squirrel. 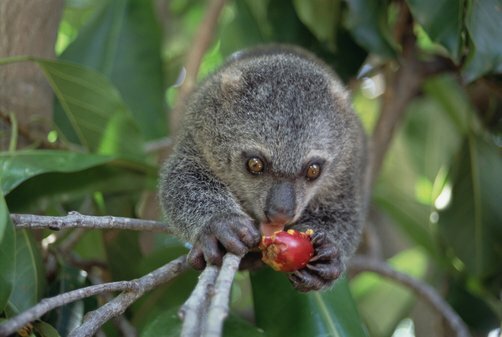 Until recently, it was described as a species in the genus Callosciurus, but since the 1990s it is generally placed in its own genus Rubrisciurus. It is endemic on the Indonesian island of Sulawesi. With a length of 25 cm (head and body), it is rather large for a squirrel. 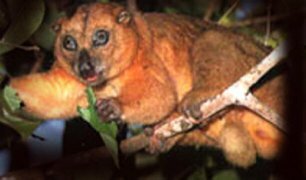 It lives in the tree tops of the rainforests of the island. Kalimantan) it is rarely found elsewhere. 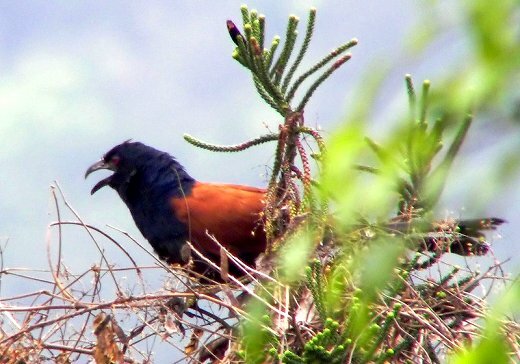 The bird inhabits Montane tropical forest, likely preferring highland rainforests and rarely visiting the lowlands. The diet consists mainly of fruits, worms, and insects. Male 77-80 cm, female c.55 cm. Blackish-plumaged pheasant with bushy, gleaming white tail (male). Blue facial skin and wattles, red legs and indistinct bluish spotting to tips of upperpart feathers. Female smaller and darkish rufous-brown in colour with dull bluish facial skin and red legs. It was named after Sir Henry Ernest Gascoyne Bulwer, Governor of Labuan 1871-1875, who presented the type specimen to the British Museum. 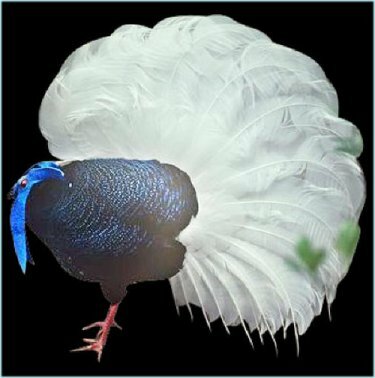 Bulwer's Pheasant is listed as Vulnerable on the IUCN Red List of Threatened Species due to a rapidly declining population. The primary reasons for this decline are habitat loss and fragmentation due to commercial logging and forest fires. Local hunting is also thought to undermine the birds population. Further, captive breeding programs aimed at preserving the species have met with little success. Population is estimated to 1.000-10.000 specimens. Partly from BirdLife International (2012) Species factsheet: Lophura bulweri. 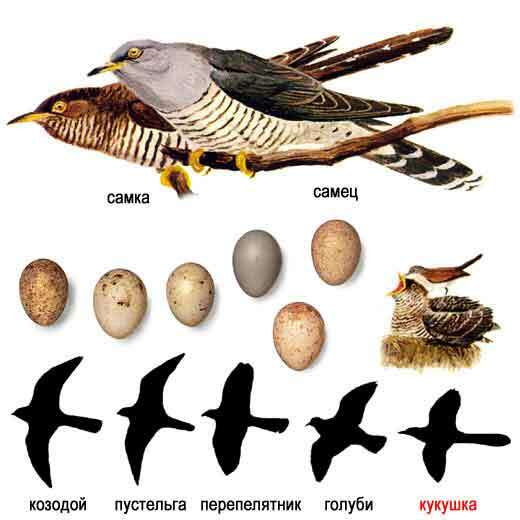 Downloaded from http://www.birdlife.org on 13/02/2012. Recommended citation for factsheets for more than one species: BirdLife International (2012) IUCN Red List for birds. 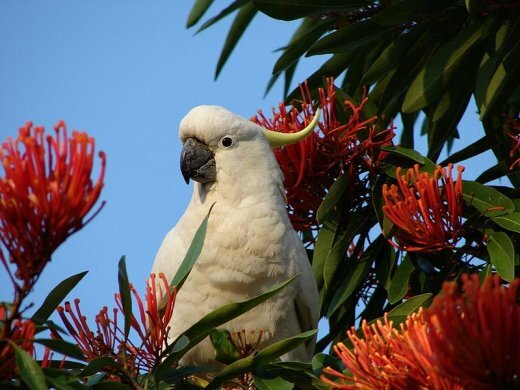 Downloaded from http://www.birdlife.org on 13/02/2012. February to August, they build nests on the ground; both parent take care of the eggs and the fledglings. large, poda = foot), and is a reference to the heavy legs and feet typical of these terrestrial birds. Dollarbirds got their name from the two silvery white circular patches on each underwing, that flash as they fly. These look like shining American silver dollar coins. will take any large insect or even feed on swarming insects. They also catch other small animals. raise the young. Incubation takes 17-20 days and the chicks fledge in about a month. 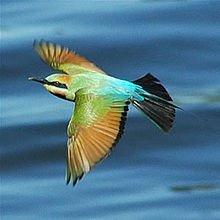 The Sulawesi Kingfisher, Ceyx fallax is a species of bird in the Alcedinidae family. It is endemic to Indonesia. 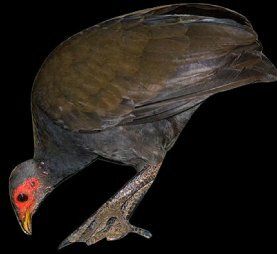 Ceyx fallax is restricted to Sulawesi and the neighbouring Sangihe and Talaud islands (race sangirensis), Indonesia. It is generally uncommon, although possibly more numerous in parts of Sulawesi, e.g. Panua Nature Reserve. It may be extinct on Sangihe as a result of habitat loss. 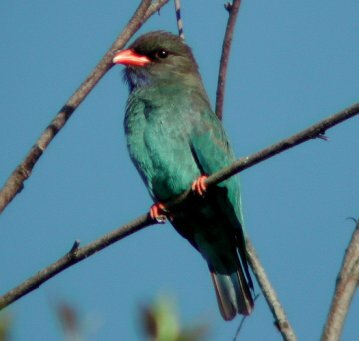 This species inhabits drier primary lowland forest (unassociated with water) up to 1,000 m, chiefly c.600 m.
It is also recorded from tall secondary and selectively logged forest. Source: BirdLife International (2012) Species factsheet: Ceyx fallax. 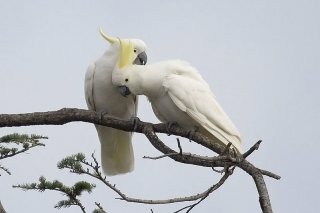 Downloaded from http://www.birdlife.org on 13/02/2012. Recommended citation for factsheets for more than one species: BirdLife International (2012) IUCN Red List for birds. Downloaded from http://www.birdlife.org on 13/02/2012. 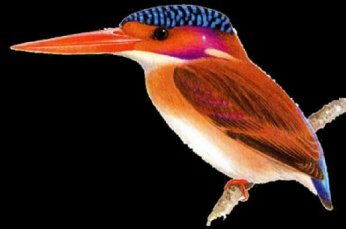 The Lilac Kingfisher or Celebes Flat-billed Kingfisher, Cittura cyanotis, is a resident breeding bird in the lowlands of the Indonesia island of Sulawesi and the neighbouring Sangihe and Talaud Islands. It is the only member of the genus Cittura. 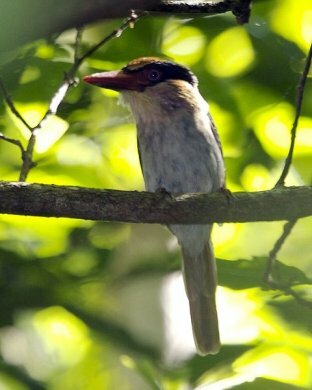 male of the nominate race, Cittura cyanotis cyanotis, has a brown crown and back and rufous rump and tail. watching for its prey, mainly large insects, on the ground below. and no nests have been found. The Rainbow Bee-eater, Merops ornatus, is a near passerine bird in the bee-eater family Meropidae. It is the only species of Meropidae found in Australia. north during the winter into northern Australia, New Guinea, and some of the southern islands of Indonesia. large groups in dense undergrowth or large trees.Breeding season is before and after the rainy season in the north, and from November to January in the south. burrow that will be their nest. 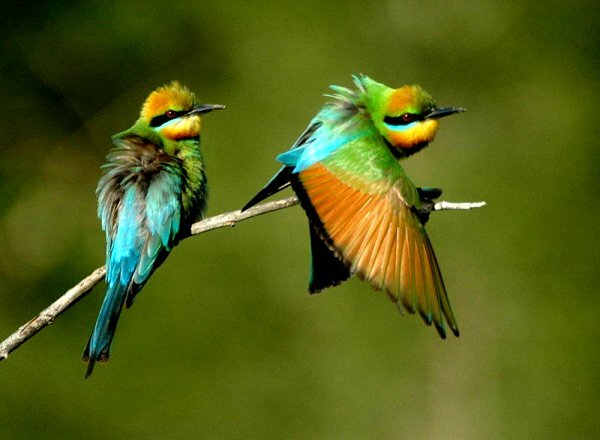 Rainbow bee-eaters mostly eat flying insects, but, as their name implies, they have a real taste for bees. 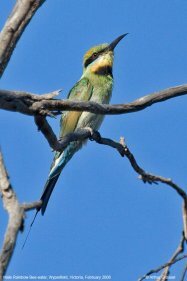 Rainbow bee-eaters are always watching for flying insects, and can spot a potential meal up to 45 m away. and fly back to its perch. Bee-eaters will then knock their prey against their perch to subdue it. locusts, hornets, and wasps under control. looks like there are some confusion about the right specimen here. Oriental Cuckoo, Cuculus saturatus optapus, was for long a species of cuckoo found all over Asia. Islands for the winter, where an all-year resident population also exists. 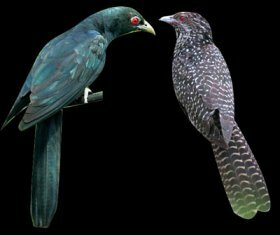 The Asian Koel, Eudynamys scolopaceus, is a member of the cuckoo order of birds, the Cuculiformes. It is found in South Asia, China, and Southeast Asia. raised by the foster parents. 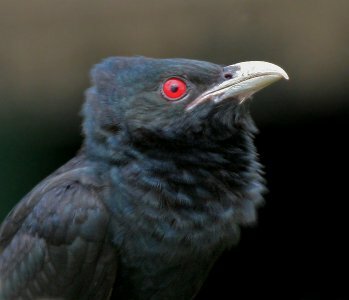 They are unusual among the cuckoos in being largely frugivorous as adults. brownish on the crown and has rufous streaks on the head. areas. They first arrived in Singapore in the 1980s and became very common birds. Eudynamys scolopaceus chinensis, Southern China and Indochina, except the Thai-Malay Peninsula. Eudynamys scolopaceus harterti . Hainan. Eudynamys scolopaceus malayana, Thai-Malay Peninsula, Lesser Sundas and Greater Sundas, except Sulawesi. This may include the race dolosa described from the Andaman and Nicobar Islands. (includes Eudynamys scolopaceus paraguena from Palawan, and Eudynamys scolopaceus corvina from Halmahera, the Philippines (including Palawan and the Babuyan Islands), islands between Mindanao and Sulawesi, and North Maluku, except the Sula Islands. powerful bills to catch and kill their prey. Coucals are rather terrestrial, preferring to walk than fly. They emerge in the open only in the early morning. claws and are sometimes called "lark-heeled cuckoos". The Lesser Coucal, Centropus bengalensis, is a species of cuckoo in the Cuculidae family. Lesser Coucals are mostly solitary, only rarely seen in pairs. It is found in the Indian Subcontinent and Southeast Asia, ranging across Bangladesh, Bhutan, Brunei, Cambodia, India, Indonesia, Laos, Malaysia, Myanmar, Nepal, the Philippines, Singapore, Thailand, Tibet and Vietnam. Although they are members of the cuckoo family, Lesser Coucals do not lay their eggs in other birds' nests. of twigs or grass (blades and stems) with a large entrance hole to one side. 2-3 white eggs are laid in December-July. Hatchlings are black skinned with long bristly down. Like other Coucals, when disturbed, the chicks squirt out copious amounts of foul-smelling liquid faeces. 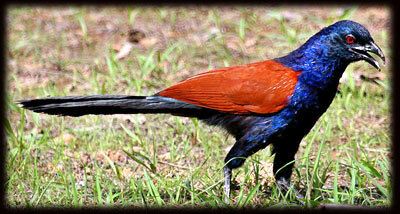 The Coucals have the head and bill of a crow, but long tail feathers of a pheasant. In fact, in the past, they were known as crow-pheasants. considered pests. They are well known in aviculture, although they can be demanding pets. New Guinea and nearby islands. The plumage is overall white, while the underwing and -tail are tinged yellow. in Brisbane city and suburbs. 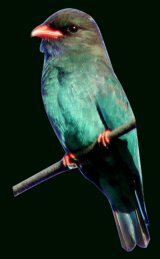 Their distinctive raucous call can be very loud; it is adapted to travel through the forest environments in which they live, including tropical and subtropical rainforests. These birds are naturally curious, as well as very intelligent. and the young fledgelings remain with their parents for a number of months after fledging. but otherwise the sexes are similar. 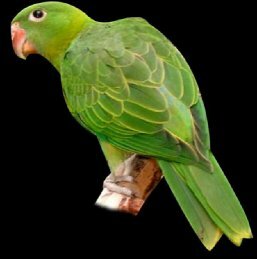 The Great-billed Parrot is found in forest, woodland and mangrove in the south-east Asian islands of Maluku, Raja Ampat, Talaud, Sangir, Sarangani, the Lesser Sundas, and nearby small island. The diet consists mainly of fruits. nearby habitats (including cultivated areas) at altitudes up to 800 m. Flocks are small and often active at night. Known to eat crops, including corn. 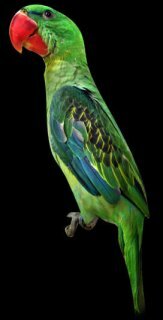 It is of medium size (32 cm), basically green with yellowish edging to the wings, a blue rump, and blue wing bends. Tanygnathus sumatranus sumatranus: Sulawesi and nearby islands. Yellow iris. Tanygnathus sumatranus sangirensis: Sangir Islands and Karakelong. More blue on wing bends and wing coverts, head darker green. Yellow iris. Tanygnathus sumatranus burbidgii: Sulu Islands. Darker green with lighter collar. Yellow iris. Tanygnathus sumatranus everetti: Panay, Negros, Leyte, Samar, Mindanao. Mantle and back darker, rump and head lighter. Some blue in mantle. Red iris. Tanygnathus sumatranus duponti: Luzon. Dark green with yellow collar. Yellowish underwing coverts. Iris red. Tanygnathus sumatranus. freeri: Polillo Islands. More uniform color with less contrast, more yellow on nape. Iris red. in Indonesia where they can be found at elevations up to ~1,000m. They are strictly arboreal, never descending to the ground, preferring to stay high up in dense tree canopies. r quiet. They are only conspicuous when foraging on lower bushes or when they form noisy, screeching flocks. 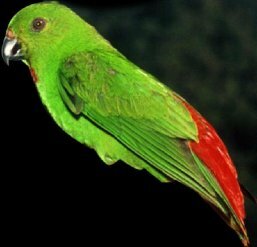 This small parrot averages 12 to 13.5 cm in length. Its natural diet consists of coconut nectar, soft fruits (especially wild figs) and flowers. found in their natural habitat. This information could not be substantiated. The Glossy Swiftlet (Collocalia esculenta) is a species of swift in the Apodidae family. It is found in Australia, Brunei, Christmas Island, India, Indonesia, Malaysia, Myanmar, New Caledonia, Papua New Guinea, the Philippines, Singapore, Solomon Islands, Thailand, and Vanuatu.